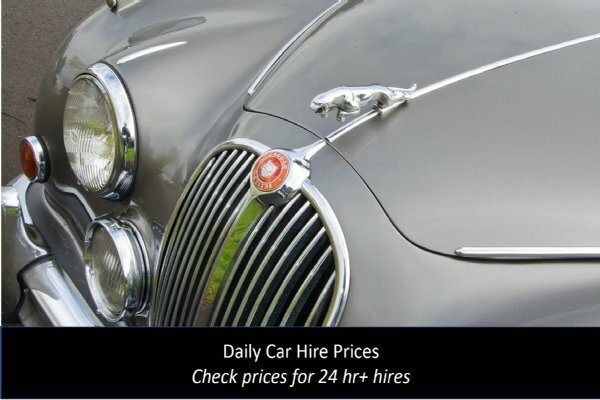 Whether you need one of our classic hire cars delivered to you, cars moved for an event or film shoot, or your own car relocated from A to B, we have the facilities and experience to help. From our Midlands base close to the M40, M42 and M5 we operate a fleet of twin-deck car transporters and single-car trailers. So we have the flexibility to move one car or multiple cars anywhere in the UK at very short notice. The Great Escape transport fleet was set up, like our workshop, after using external contractors for several years to move our fleet of 60 hire cars. Since we started as a service buyer we know that when choosing a transport provider there are a few simple criteria that matter to our customers - these three priorities drive everything we do. 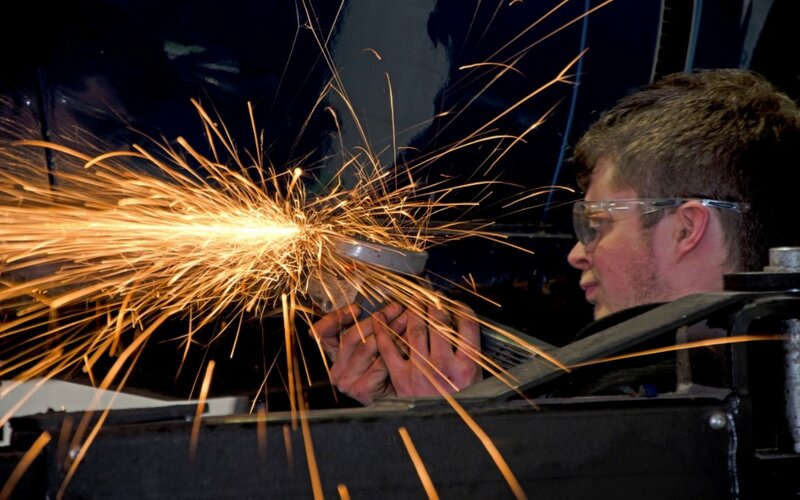 Our vehicles, drivers and logistics management are controlled by the requirements of our Driver & Vehicle Standards Agency (DVSA) Operator's Licence, which also sets strict conditions for the maintenance and standards of our transport vehicles. Each of our drivers holds a Driver Qualification Card (DQC), proving that they have completed DVSA Certificate of Professional Competence (CPC) training. 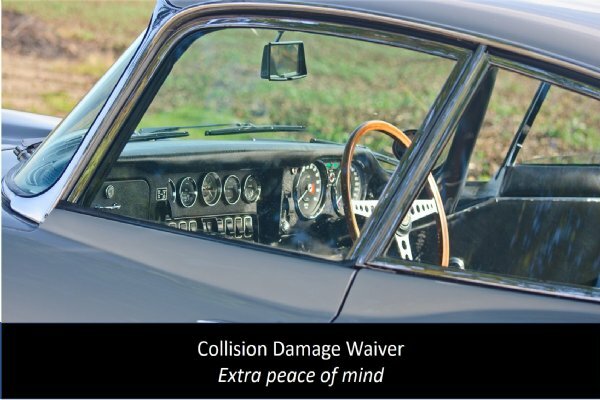 Our drivers and office staff only work with classic cars so we understand the special requirements of moving valuable and perhaps fragile vehicle cargos. 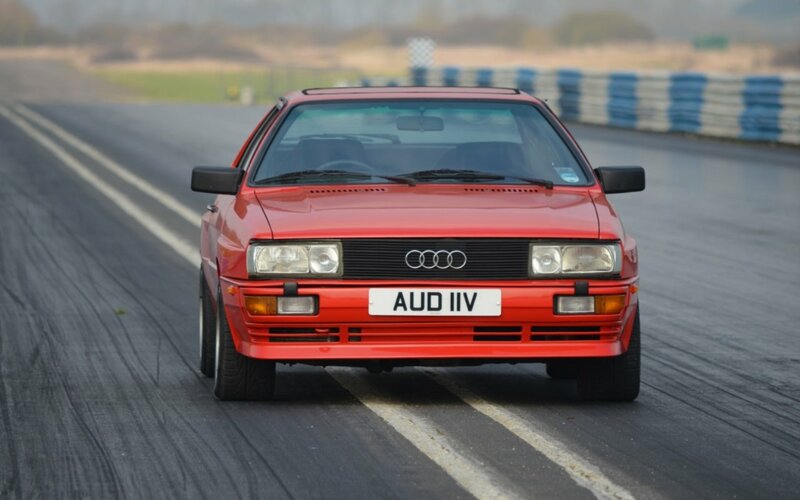 Our experience includes moving individual classic cars around the UK for our self drive hire customers, often to tight deadlines and strict timings, as well as providing up to 40 cars for long TV contracts spanning several months. We also provide cars on a weekly basis for static advertising shoots. Our drivers and vehicles cover well over 150,000 miles a year supporting our customers. We generally transport cars throughout the UK, but we can deliver overseas as well. Our fleet of vehicles means that we have the flexibility to move one or many cars in one day. We can also deliver to virtually any location, even where access is limited. Our twin-deck transporters enable multiple cars to be delivered at reduced cost, without incurring the expensive of a HGV transporter. We have two 7.5 tonne two-car transporters capable of moving up to three cars at once. They are automatically insured for payloads of up £100,000 - we can transport higher value loads for a small extra charge. These trucks can be provided with one or two drivers for longer journeys. We operate two single car high capacity trailers and tow vehicles. Each can move up to 3 tonne loads, making them suitable for virtually any classic car. Our 4x4 and trailer combinations are ideal for short notice deliveries and accessing areas otherwise unsuitable for trucks. 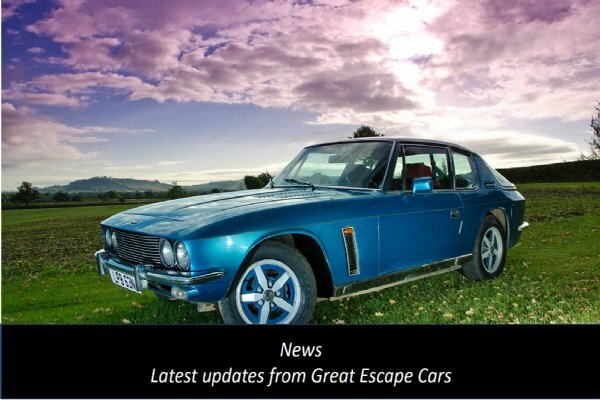 To find out more about what we do call 01527 893733 or email info@greatescapecars.co.uk. We provide an immediate turnaround on quotes (generally within 1 hr) and offer a price match guarantee on like for like quotes. 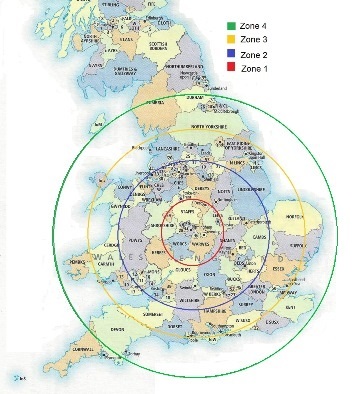 We operate within the four zones shown on the map below, if you are outside that zone please call us because we can still deliver, it just takes a bit more calculating.